Your choice of wedding venue sets the scene for your whole wedding, and is one of the first decisions you will have to make about your big day. Often your venue choice will dictate your wedding date, and the style of your wedding will be shaped by the style of your venue. Also, your venue and food will be the largest expense of your wedding, an average of 55-65% of your whole wedding cost. There are many different types of venues available, from country all-in-one wedding venues to hotels, farms, restaurants, halls and marquee style venues. A good place to start is online, where you should easily be able to find a selection of venues in your chosen area. Start with the size of your wedding. Work out an approximate guest list so you have an idea of how many people will be attending. Make sure that you spend your time viewing venues that are able to accommodate your number of guests, and don’t waste time with places that are too small or way too big. Narrow down your selection, based on whether you like the look and feel of the venue, and if it can hold your number of guests. The next step is to contact each venue to ask them for introductory information, an idea of pricing and their availability around the time you had in mind. Popular venues book far in advance and it may be difficult to get your first venue choice on the day you had in mind. Many venues offer discounted rates for different days of the week, or different seasons, so it may be worth shifting your date slightly, which will help with availability and also that straining budget! Then narrow down your selection to a handful of venues. Set aside a day or two to view the venues, and allocate one hour to each viewing, with travel time between. Go prepared with a checklist of questions, and take photographs, so you can remember after. Remember to make an appointment to ensure someone is on hand to answer your questions, and that the venue will be available for viewing. You will be liaising with the staff at your chosen venue while planning your wedding, so make sure you are happy with their service from when you enquire, and when viewing the venue, and ask for references from past brides and grooms. Word of mouth is a wonderful resource, so chat to other people about weddings they have attended and which venues they liked. The success of your wedding depends on every single guest having a great time from beginning to end, and positive feedback from people who have attended other weddings is invaluable! How many guests can the venue accommodate, and how? Get them to show you how they lay out for small, medium and large weddings so you have a good idea. What is the venue décor like? Will it suit your wedding theme, or will you have to pay a lot to dress it up? What is the venue’s standard equipment like, and do they have sufficient for your wedding without having to move or reuse equipment? Does the venue have a chapel or bridal suite for the bride to get dressed? Does the venue have sufficient parking? Who does the catering? What food is included and how is it served? Is food tasting available, and how does it work? How many waiters and barmen will there be and are they included in the venue hire? Does the venue offer any extras, like a wedding planner, wedding transport, garden furniture, décor, sound system? Is there a cut-off time for the venue hire and will this work for you? 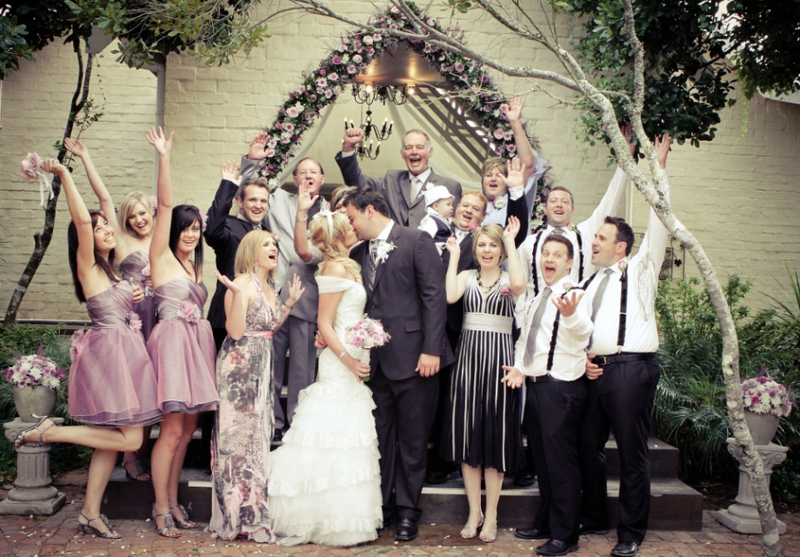 Do you get exclusive use of the venue or will you be sharing with other weddings or functions? How flexible is the venue? Do they dictate which suppliers you use? Will they work with you to create your unique wedding, or will you have to fit in with their style? How does the bar work and what are the drinks prices like? When compiling your comparative budget, make sure you read all the fine print and include all the cost items. Some venues may look cheaper at first glance, but have lots of hidden extras, like having to drape, hire in equipment or linen, pay extra for waiters, barmen, set up and clean up. Most of all, have fun and enjoy every moment!